Republican nominee Donald Trump is very fond of pretending he has more support than he does. 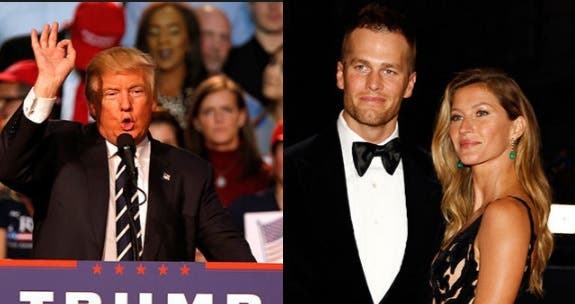 Pandering to New England Patriots fans today in Manchester, New Hampshire, Trump today announced that legendary quarterback Tom Brady voted for him and that he’d received a “letter” from Coach Bill Belichick. But it does appear that the letter from Belichick was in fact from him, as confirmed by CSN-NE. He did not intend for it to be read aloud, however, but that’s what you get for sending evidence of your support to a volatile maniac like Trump. Congratulations on a tremendous campaign. You have dealt with an unbelievable slanted and negative media, and have come out beautifully – beautifully. You’ve proved to be the ultimate competitor and fighter. Your leadership is amazing. I have always had tremendous respect for you, but the toughness and perseverance you have displayed over the past year is remarkable. Hopefully tomorrow’s election results will give the opportunity to make America great again. Best wishes for great results tomorrow.